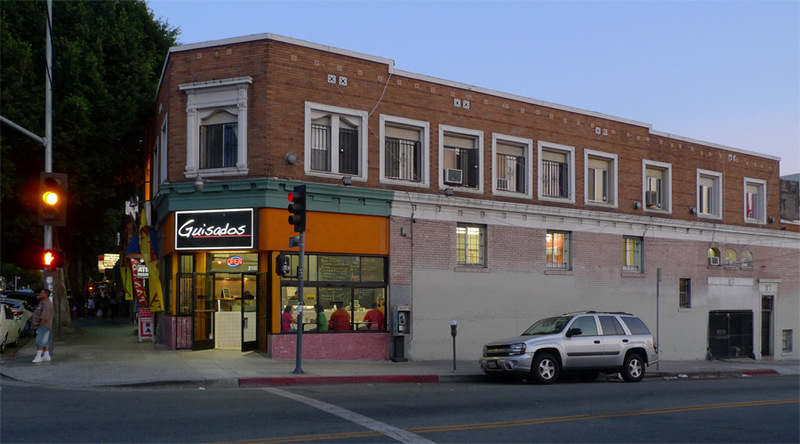 The Eastside feels accessibly hip at Guisados, the pleasantly bustling dining room crowded with diverse customers, the high-ceilinged volume activated by wall art and big chalkboards. 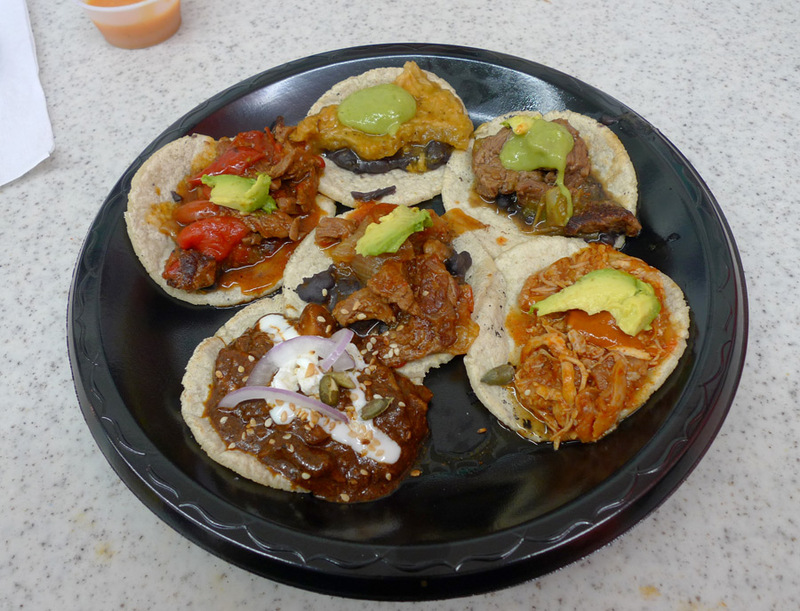 Spanish for “stews,” Guisados specializes in these wet and flavorful concoctions, stylistically similar to the guisado tacos Westsiders will know from Lotería Grill. The tortillas are handmade. I ordered the sampler for $6.99, which as you can see gets you a heavy plate with plenty of variety. I don’t remember which ones were good, but then they were all good. I recommend this sampler. I was pleased by the colorful and variegated appearance of these goop tacos. They were very tasty.